Is that tantamount to outsourcing the testing effort? Does that effectively make you a manager of the testing/raking process? Or is the owner of the company the manager now? Would the company be able to consistently approach your yard the same way you do? I like your metaphor. It is rich in content to explore/chew on. Thanks for posting it! I was thinking, every time I get my rake out, my yard is bigger. I think I generally have the same amount of leaves, it just gets harder to rake because they are spread all over a much larger yard. And the funny thing is, I still have to do it within the same time frame. About raking the yard, I only do it when too many leaves have accumulated. Even then, I accept that the yard will get dirty again, though it may trigger my frustration. Breaking the analogy, it's nice to see a yard with leaves sometimes, makes it look like part of nature under the influence of seasons rather than a sterile mall like environment. I had to rake a lot of leaves in the back yard last weekend, and as I was raking, raking, making many muddy piles, I had an epiphany. 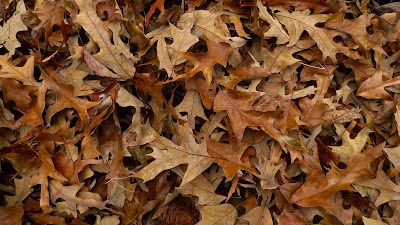 Software testing is … raking leaves. - If there are lots of leaves, you can get most of them without digging too deeply and getting your rake all clogged up, just by scraping the top layer. Leave the rest for later, if that’s your style. - You can turn a big ol’ yard into a manageable series of “rake areas” by picking some landmarks, say a few trees and the sandbox, spaced somewhat equidistant through the yard, and raking all the leaves between these into a pile, then the leaves between these into another pile, etc. - Once you get past the top layer, the leaves are wet, and your rake gets caught up in the roots and stuff. If you’re just going for max bags o’ leaves per hour of raking, you’ll avoid that kind of work. - But if your wife is like mine, you quickly understand that the kids need to play on solid ground, so you have to get in there and dig ‘em out, which takes more work, and a more discerning eye to judge how well you did. - I get into a rhythm of raking leaves while playing with the kids: push the kids on the swing, then when they’re swinging real good, go and rake a bag of leaves. By the time I’m done with the bag, they’re screaming for another push. Push ‘em, rake ‘em. Push ‘em, rake ‘em. They seem resistant to learning how to pump themselves higher on the swings, but I don’t mind – it’s “dad security”. - And of course – next time the trees put out a release, I get to do it again. - Second time, though, should be easier.